Founded in 2010 within the POLITEHNICA University of Bucharest, the Research Center for Spatial Information- CEOSpaceTech promotes, at the national and international level, technological and scientifically areas of research in Earth Observation and related fields. Areas of competence include Big Data, Sensors and Signal processing and Quantum Technologies. CEOSpaceTech aims to undertake scientific and technology focused research projects in compliance with the priority of the Romanian Space Agency (ROSA) and the European Space Agency (ESA) addressing the development of innovative concepts, providing solutions and advanced tools for European Earth Observation Systems. 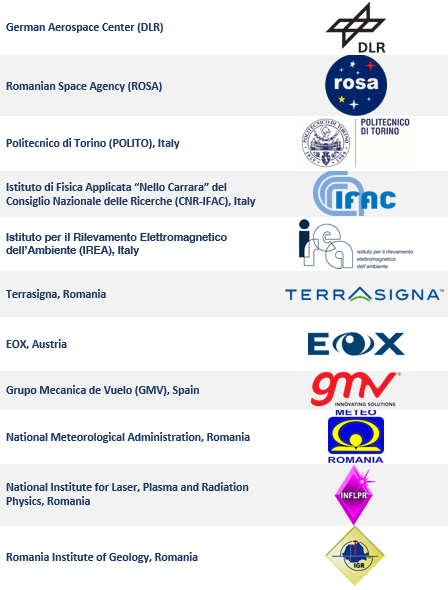 Scientific research within national and international research programs and projects in the frame of National R&D Program, Romanian Industry Incentive Scheme or General Support Technology Program funded by European Space Agency. Organising and hosting scientific and educational events in order to ensure further scientific and technological competences in space field by providing high-level teaching and training courses.